Saturday June 4th is National Trails Day and there's a lot of hikes and volunteer activities being held all over the place just for this occasion. In addition, our President just declared June as National Great Outdoors Month. So what are your plans for Trails Day? Are you going on a hike or planning on giving back by volunteering in a trail maintenance activity? Let us know, we'd love to hear your plans. 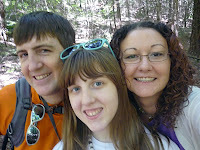 If your having troubles find activities or don't know what's available, check with your local State or National Parks. There's plenty of opportunities and it's not hard to find them. Remember Google is your friend. For the East Tennessee area there are all sorts of events planned for different parks from hikes to clean ups and even trail maintenance. 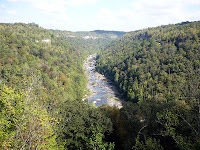 Tennessee State Parks page has a whole list of events on their website. 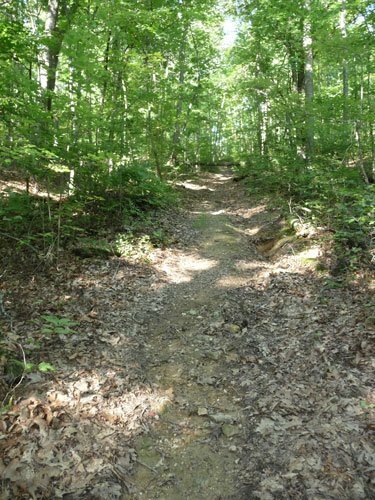 To name a few, there is a trail work project to celebrate Trails Day at Frozen Head State Park on Saturday. Call the park office at 423-346-3318 for more information. 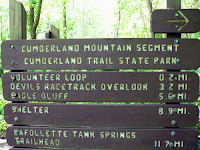 Cumberland State Scenic Trail will be holding the Closing the Gap work project from June 2 through June 12. 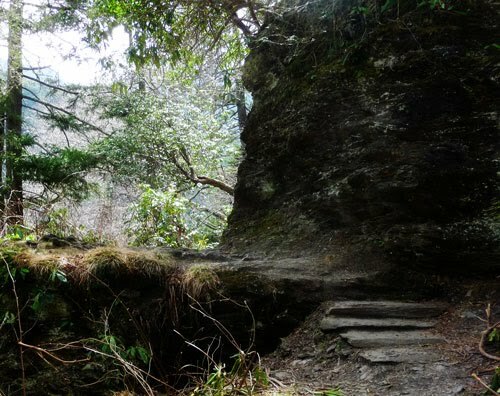 They are need of volunteers to help finish trail work to complete the trail segment connecting Cove Lake State Park to Frozen Head State Park. This will be a camping outing, and food and water will be provided. You will have to bring everything else. Registration for this event is required. 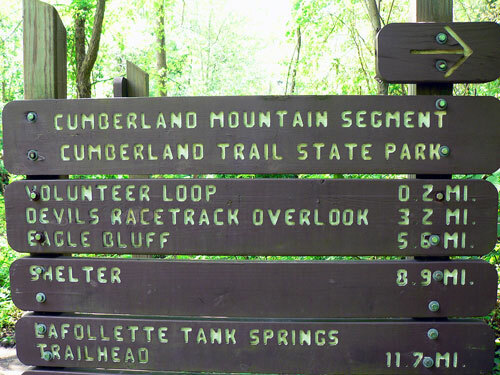 You can register and get additional information by contacting the Cumberland Trail Conference at cumberlandtrail (at) rocketmail (dot) com, www.cumberlandtrail.org or 931-456-6259. As I understand it, you work however many days you like or can. Up at Roan Mountain State Park, they are hosting the Riverside Trail Work project on Saturday. The focus of this project will be volunteer work along the Riverside Trail removing non-native invasive plant species from the trail. Snack will be had after the work is done. Meet Seasonal Ranger Meg at Picnic Shelter 2, 11 a.m. ET for this opportunity. You can call the park office at 423-772-0190 for more info. Big South Fork NRRA will be having three different volunteer work opportunities to Celebrate Trails Days. The first project is trail maintenance on the John Litton Farm hiking trail. The second opportunity is maintenance on the Collier Ridge biking trail. For these two project volunteers are to meet with park staff at the Bandy Creek Visitor Center at 9:00am EDT. 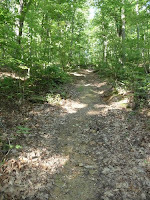 The third project is trail maintenance on the Upper Panther Branch horse trail. Volunteers are are to meet with park staff at the Timber Ridge Equestrian Campground at 8:00am EDT. For more information on these project you can call the Bandy Creek Visitor Center at 423-286-7275. Finally, The Great Smoky Mountains National Park will also have a trail work opportunity to celebrate National Trails Day. The event runs from 9:00am - 4:00pm EDT. For more information and to sign up for this volunteer project contact the Great Smoky Mountains Volunteer Coordinator: Christine Hoyer at christine_hoyer (at)nps (dot) gov or by phone at 828-497-1949. We hope you all have a wonderful time hiking and volunteering on National Trails Day. We know we will. We're not sure exactly what we are going to do or where we are going, but you can guarantee we will be hitting a trail somewhere for an early hike before the heat gets too bad, and we will have a bag to pick up garbage along the way.